The year is 1943 and 14-year-old Elise is living a normal teenage life in Iowa. Her parents immigrated from Germany years before but hadn't gotten their citizenship yet. They still have family in Germany and are worried about them but their lives are far removed from the war on a day to day basis. UNTIL Elsie's father is arrested as a possible German spy and sent to an internment camp. He wasn't a spy but at that time, anyone who came to the US from Germany or Japan had not gotten their citizenship was considered a possible spy. Soon Elsie and her mother join him at the camp. Life behind barbed wire was difficult for the children in the camp - who had only known life as Americans - and there is a definite division in the school between the Japanese and the Germans. 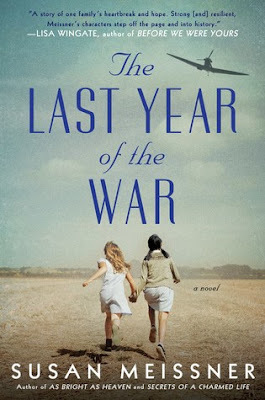 Elsie and Mariko (a Japanese American teenager from California) become friends and that friendship helps make life in the internment camp bearable for both of them until a forced separation made life unbearable. 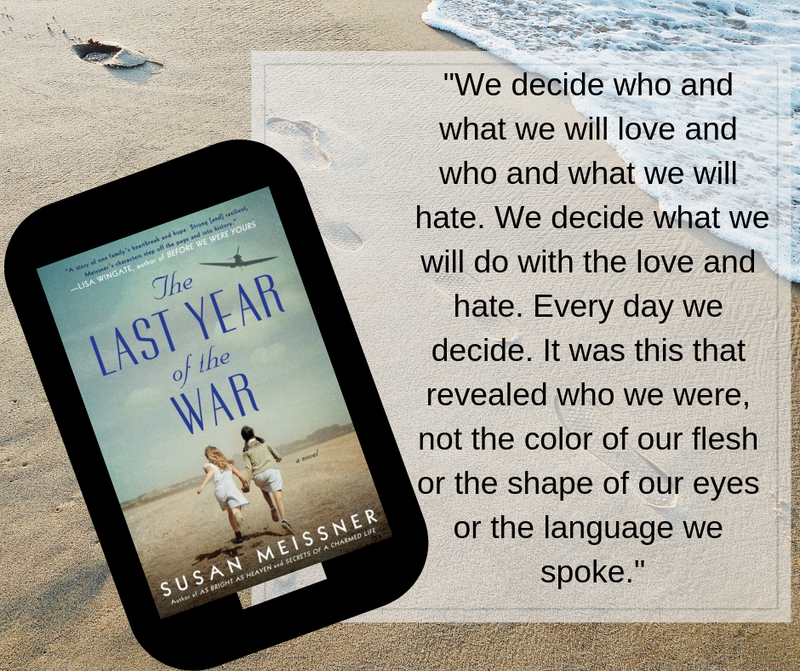 Elsie's family is returned to Germany during the war and has to struggle to survive. This is a wonderful, well-written, extremely well-researched novel. The character of Elsie is so well written that I cried with her during parts of her story. She is not a character that I will soon forget. I love reading historical fiction and learning history that I didn't know. I knew about the Japanese being sent to internment camps but had no idea that there were Germans sent to camps, too, and I had no idea that some of them were returned to their original country during the war. This is a fantastic book about little known situations with characters who stay in your mind. I highly recommend this new book by the wonderful Susan Meissner.